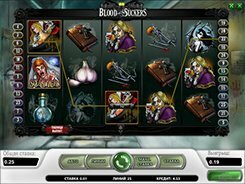 Blood Suckers is a vampire-themed slot with 5 reels and 25 paylines. 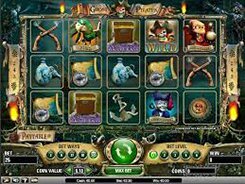 The slot has detailed imagery, smooth gameplay and flexible wagering options. 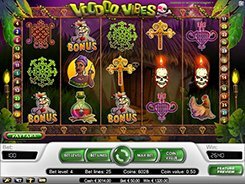 By changing the number of coins from 1 to 4, and a coin value from $0.01 to $0.5, you can bet anywhere from a penny to $50 per spin. On the reels you will see garlic, a crossbow, a spell book, a holy water bottle and a variety of vampires. A wild symbol depicts a vampire biting his victim. 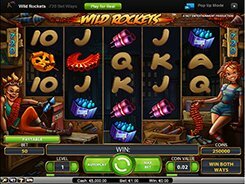 Hitting two to five wild symbols on an active payline awards a win of x5 to x7500 a line bet (or $15,000 on the maximum stake). 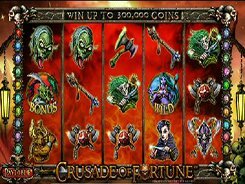 The Crazy Bride is a scatter, with these three or more triggering 10 free spins no matter where they have landed on the reels. Besides, Blood Suckers has a bonus feature unlocked by three Bonus symbols. In the bonus feature you have to open coffins and kill vampires inside, each rewarding a random cash prize. You will keep picking the coffins until finding an empty one which ends the feature. 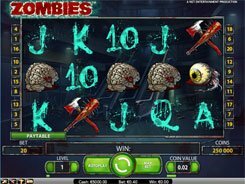 In conclusion, Blood Suckers is a fast-paced slot with nice payouts and eye-catching visuals that would be appealing to both slot pros and novices alike.